I will always associate these soft molasses cookies with my grandma. I don't think I ever had cookies just like these anywhere else but at her house, and she almost always had them on hand. When she made them she used a large, fluted cookie cutter which I now have. I also have her cookie jar which is pictured above. I am almost positive that I had asked her for this recipe because I remember being surprised that this cookie had coffee as an ingredient. But after looking high and low for the recipe, I couldn't find it. My mom finally located it a cookbook published by my grandma's church. As I read over the ingredients, another surprise was that the recipe calls for lard along with the notation "use lard" as in not to substitute. I have never used lard (pig fat), so I did a little research and found that because of the way it is now processed, the lard available in grocery stores today isn't like the lard used in baked goods in the past. Some even said that the today's lard doesn't differ much at all in taste to shortening when used in baked goods. So, I substituted the lard with shortening. Although these cookies tasted very good, they didn't turn out the way I remembered my grandma's cookies. Of course hers were so much better! It probably is because I didn't use lard. I also remember her cookies being darker so I am sure she must have used dark or robust molasses. The recipe didn't specify, but next time I make these I will definitely give the dark molasses a try. It could also be that this is a completely different recipe than the one I remember, or that she made her own tweaks which were never written down. I sure miss her and wish I could simply ask. But since I can't, we will enjoy the cookies as they are and remember just how fabulous her cookies were. Big, soft molasses cut-out cookies that my grandma used to make. 1. Cream together sugar and lard (or shortening).2. Dissolve soda in boiling coffee.3. Add coffee mixture and molasses to the creamed mixture and blend.4. Add beaten eggs and blend well.5. Add dry ingredients and stir until all ingredients are blended.5. Roll out on floured board to 1/4 inch thickness.6. Place cut dough on cookie sheet and bake in 350°F for 8 minutes; do not overbake.7. Remove to cooling rack. Grandma was for sure one smart Cookie! 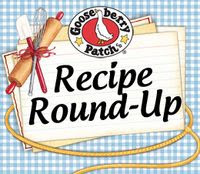 This recipe is fantastic... cant wait to try it, anything from grandma is perfection in my book! These a beautiful cookies! Can't wait to try them! Oh, how yummy! I'm huge fan of molasses cookies...and, coincidentally, my sisters and I are looking for our grandmother's recipe. I don't think hers had coffee in them, but maybe you've found the recipe we've been hunting for as well! They were small and crisp vs the soft chewy ones I tend to make. Thanks for sharing! Congratulations on the Top 9 today. Such a sweet story. Grandma's cookies always tasted better! I love the cookie jar. I have a pink pressed glass dish from my grandma, which I treasure, and several things from My Mom. That cookie jar is a wonderful heirloom! Congrats on your Top 9 post. 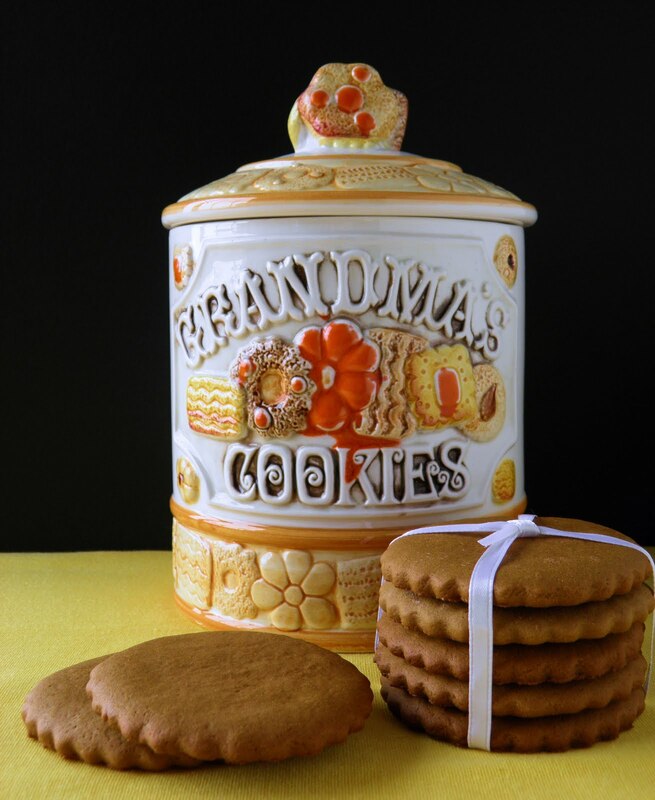 Wow, how wonderful that U have Grandmas cookie jar and cookie cutter. That is the best. I have a few things of my grandma's but she was a terrible cook - I have her spatula and her measuring spoons. Congrats on the Top 9. That is great. These cookies are adorable...I love the way you wrapped them, as they would make a great gift. I could just taste them now! My dad always kept sorghum syrup...which is pretty much an acquired taste. I don't think as a child I cared for it...but I like it now. I wonder if that is what she used. It's a clear, dark, sweet, mild-tasting, thick syrup. Also, my mother taught me a long time ago that some of the best recipes come from community cookbooks such as your grandma's church cookbook. What a sweet post Jill! These cookies look delicious and I love your photo! I'm sure grandma's were better, but yours look delicious! I love molasses and I will try out your recipe. Congrats on Top 9, Jill!! what a perfect cookie for a cookie jar! My dad was a meat cutter. He would make and sell lard. You can too. He took beef fat - Yes - fat, and heated it up to melting, in a stock pot. Then, he filtered the liquid though cheesecloth and saved it, throwing away any solids that remained. The liquid part would then be refrigerated and solidify. That is your lard. I think they look great - but isn't that always the way!! They are never as good as you remember! This is almost identical to my grandma's recipe for Christmas cookies. Only with hers we add anise seed oil. I'm so glad you posted this because my grandmas recipe didn't have the oven temperature or baking time. The only other difference is with my recipe u have to let the dough sit in a cool place for 2 hours! Anise seed oil....how much and where do you get it....grocery store or pharmacy...?? ?